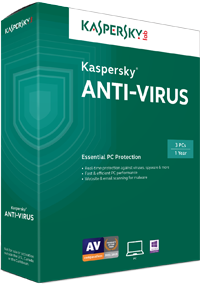 Kaspersky Anti-Virus is the backbone of your PC’s antivirus security system, delivering essential, real-time virus protection from the latest malware. It works behind-the-scenes with intelligent scanning and small, frequent updates, while proactively protecting you from known and emerging virus threats. 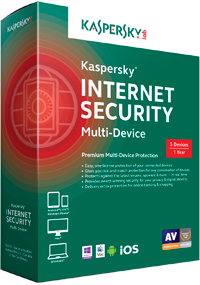 Enjoy essential protection that won’t slow down your PC with Kaspersky Anti-Virus. 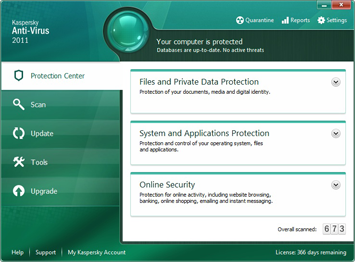 Kasperskys best of breed scanning engine operates at multiple levels in the operating system, rooting out malware. 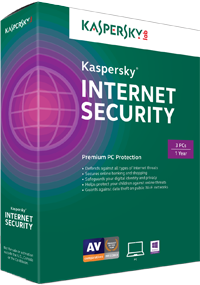 The cloud based Kaspersky Security Network protects user in real time against new threats. A cloud-based, categorized database of safe and unsafe applications and websites helps the administrator to set and enforce policies for applications and web surfing, while granular controls ensure that only specific device can plug in to machines o the network. Agent based mobile security is available for Android,BlackBerry, Symbian and Windows Mobile devices. 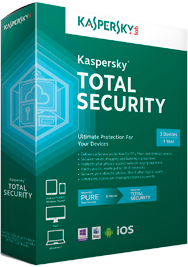 Mobile device policies and software can be securely deployed over the air to these and to ios device policies and software can be securely deployed over the air to these and to iOS devices through Kaspersky MDM. Tuned to flag hardware and software vulnerabilities which could be exposed to an attack. Microsoft® Windows 8.1 /Pro/Enterprise/update (32-bit or 64-bit**) . Microsoft® Windows 8 /Pro/Enterprise (32-bit or 64-bit**). Microsoft® Windows 7® Starter/Home Basic and Premium/Professional/Ultimate SP1 or higher (32-bit or 64-bit**). Microsoft® Windows Vista® Home Basic and Premium/Business/Enterprise/Ultimate SP1 or higher (32-bit or 64-bit**).